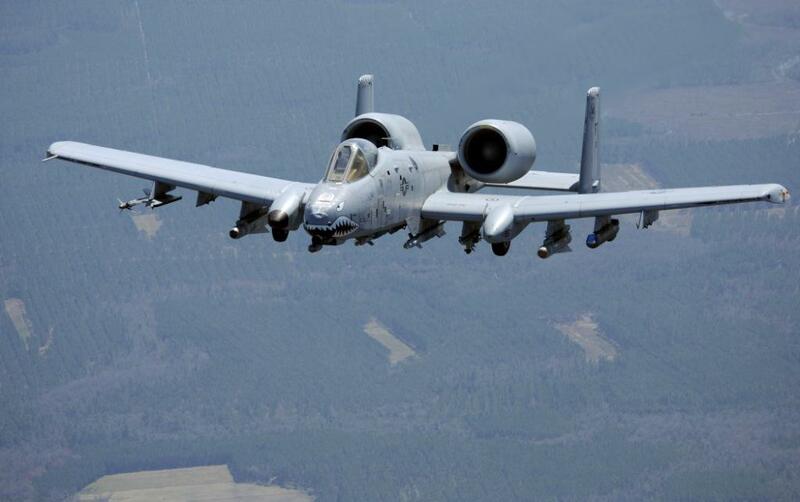 The A-10 Thunderbolt II is an American 2-engine attack aircraft specially developed for ground attacks against armored vehicles including tanks. 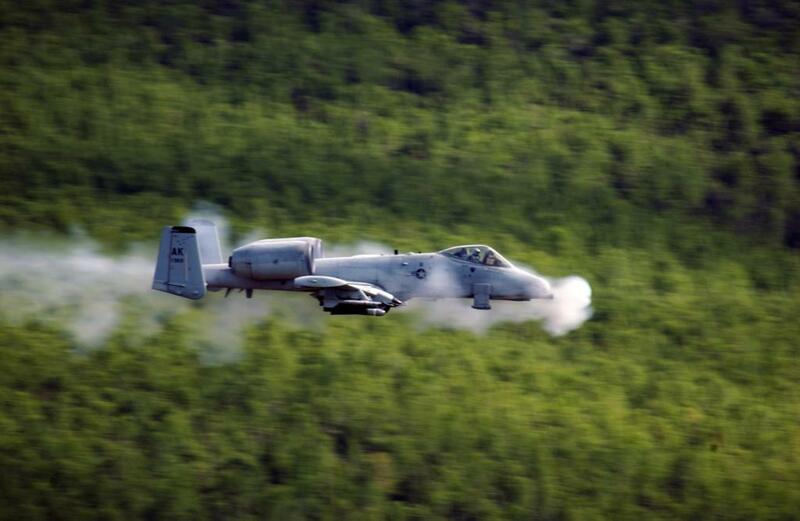 The A-10 is standard equipped with a 30mm canon under the nose and can be armored with air-to-ground missiles, general purpose & cluster bombs and precision bombs. The secondary role is the delivery of support during SAR operations and Special Forces operations. The A-10 has a large actioradius (800 miles) and a short land, take-off capacity. There have been manufactured 707 airplanes where of 393 still in service with the US Air Force, 97 with the US Air Reserve and 192 with the US Air National Guard. From 2005 till 2009 they have been updated called: the "Precision Engagement upgrade". More about this see beneath. The aircraft is in service since 1972. 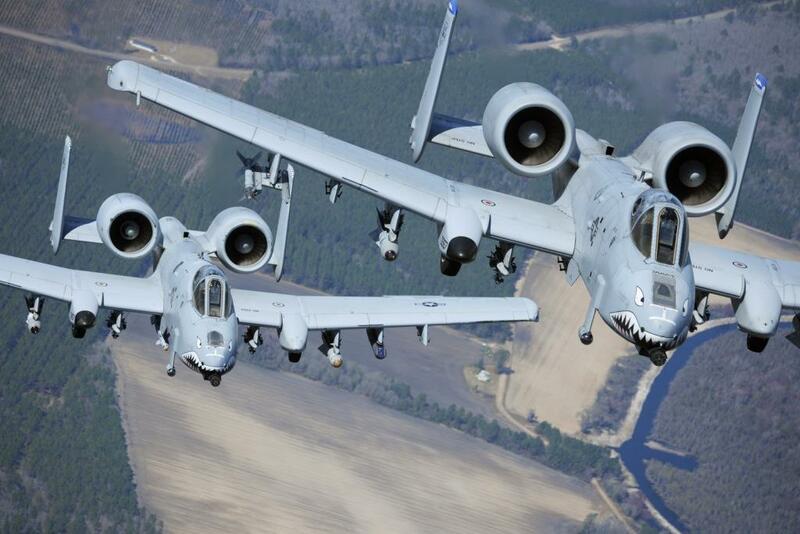 Thanks to a lot off updates the A-10 will stay in service with the USAF till 2028. 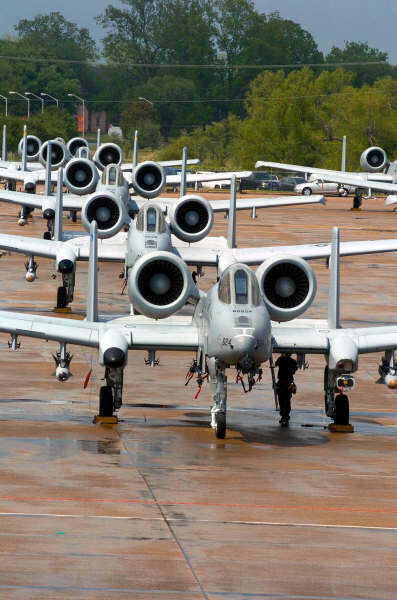 The A-10's are stationed on air force bases in the United States, in South-Korea, in Alaska, in Germany and in Kuwait. 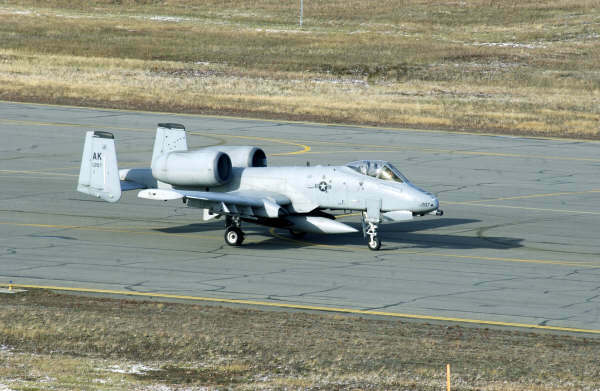 The A-10 from the USAF have been used insensitive during Operation Dessert Storm, Operation Enduring Freedom, Operation Iraqi Freedom and to support NATO forces in Allied Force during the Kosovo crisis. One characteristic is the 30mm GAU-8/A Gatling Gun which is mounted beneath the nose of the aircraft. This gun can fire up to 3900 rounds a minute and is able to shoot trough armored vehicles like tanks. Other armoring can be mounted under the wings like electronic jamming systems, self-defense systems and bombs like the AGM-65 Maverick and the AIM-9 Sidewinder. 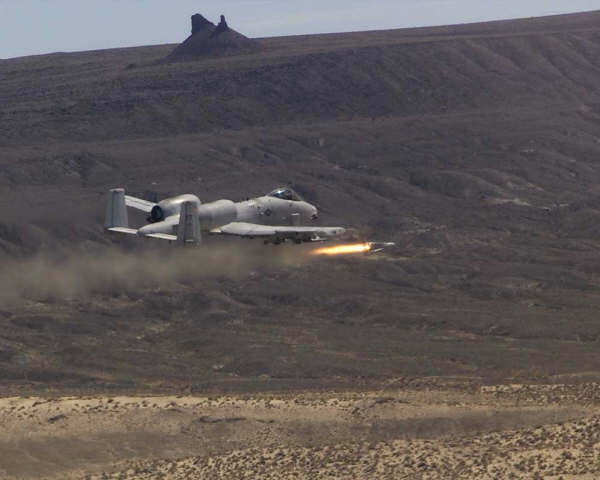 In frame of the (Precision Engagement) project from Lockheed Martin the A-10 will be soon be able to have the opportunity over 2 new precision weapons: JDAM from Boeing and WCMD from Lockheed Martin. The pilots and also the aircraft control systems are protected by titanium armoring. The aircraft can resists direct hits and explosives till 23mm guns. Some avionic systems are: Night vision goggles, usual communication and navigation systems, fire and control systems, target penetration assistant. 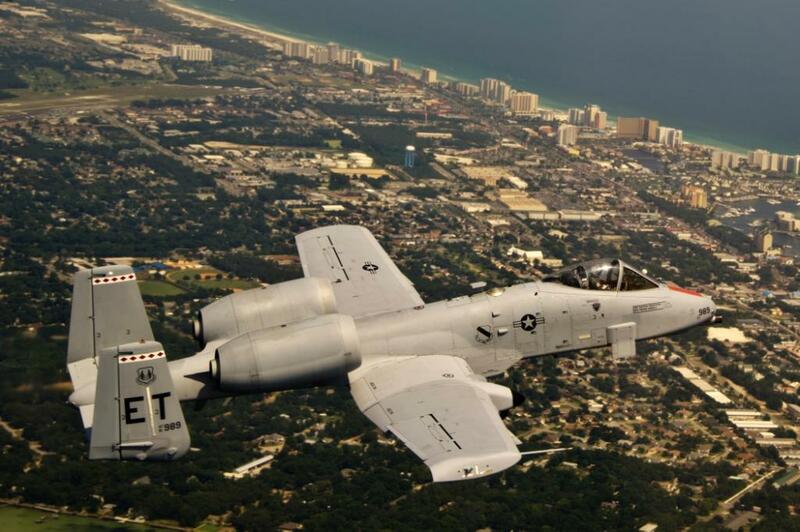 A GPS system version for the A-10 is also in development. The aircraft has control panels and infrared and electronic countermeasure systems to jam surface-to-air missiles. the opportunity to carry 2 new weapons, new cockpit displays and the opportunity to use the litening targeting pod from Northrop Grumman or the Sniper XR targeting pod from Lockheed Martin. 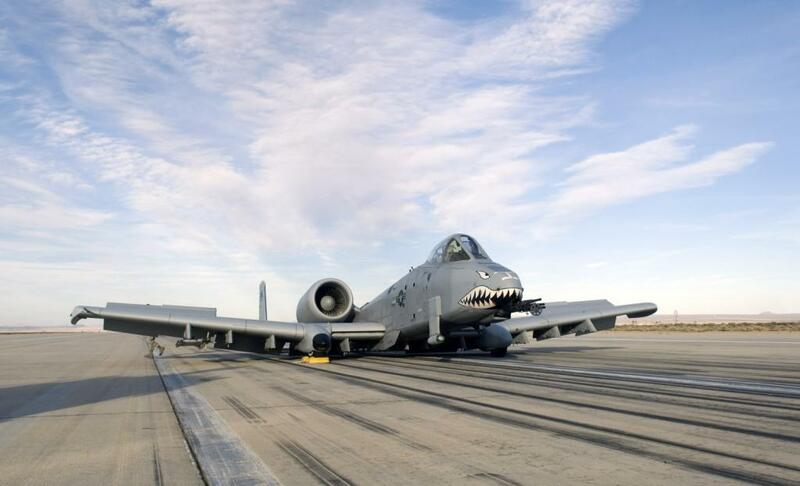 For March 2005 Lockheed expects that the United States Air Force will awarded a contract for the production of 13 aircraft and maybe after that a contract for all the 356 A-10 thunderbolts. 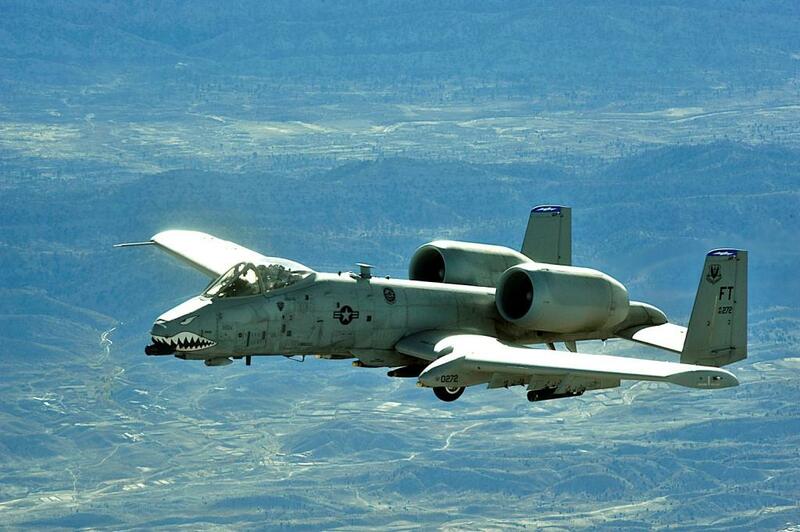 When that is going to happen all A-10's will be updated with the packets at Hill Air Force Base. A update of one A-10 with a packets takes 45 days. 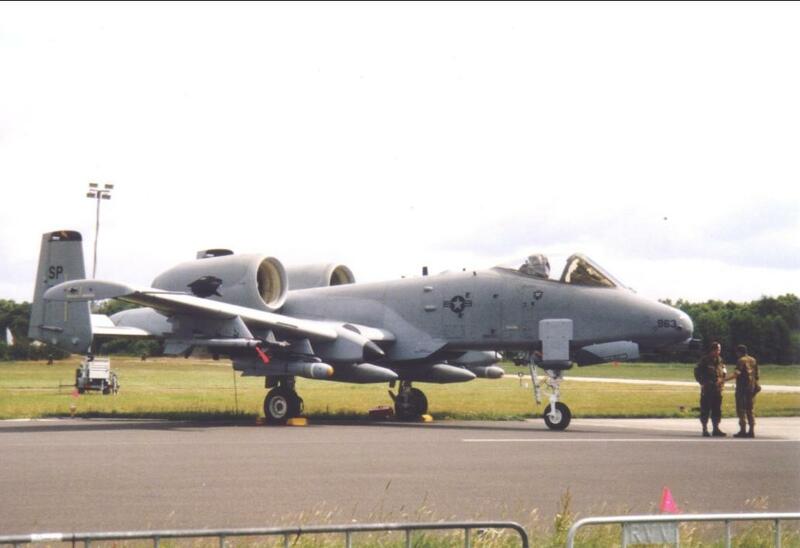 Once all A-10's have been updated they will get the code name A-10C. In July 2007, Boeing was awarded with a 2 billion contract for the delivery of 242 new wing kits for the A-10's. The USAF expects to keep them in service till 2018. Design organisation Fairchild Republic Co.